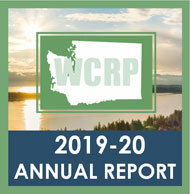 The Washington Counties Risk Pool was "Created by Counties for Counties" in 1988 and pursuant to Chapters 48.62 and 39.34 RCW to provide to member counties programs of joint self-insurance, joint purchasing of insurance and joint contracting for or hiring of personnel to provide risk management, claims handling, and administrative services. For more, please visit our About page. - To decrease costs incurred in the managing and litigation of claims. From its inception, the Pool's insuring programs have included joint self-insurance for 3rd party liabilities. However, the insuring programs have been expanded to include property and cyber risk coverages as well as trainings and loss control services. 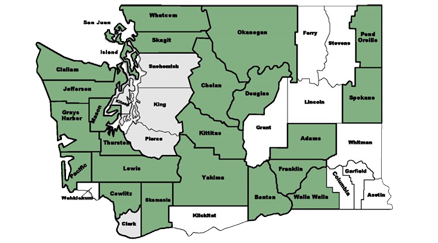 The Pool presently consists of 26 of Washington's 39 counties. Together, its members employ approximately 12,500 employees. Note: Green shaded counties are WCRP members.